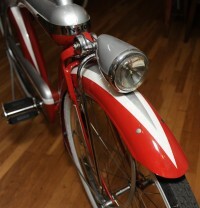 This outstanding Firestone Super Cruiser, made by Colson is commonly referred to as a “Colson Bullnose” due to the unique rounded shape to the front of the horn-tank. 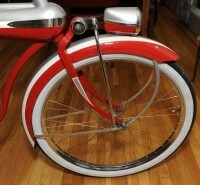 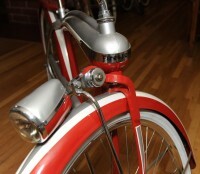 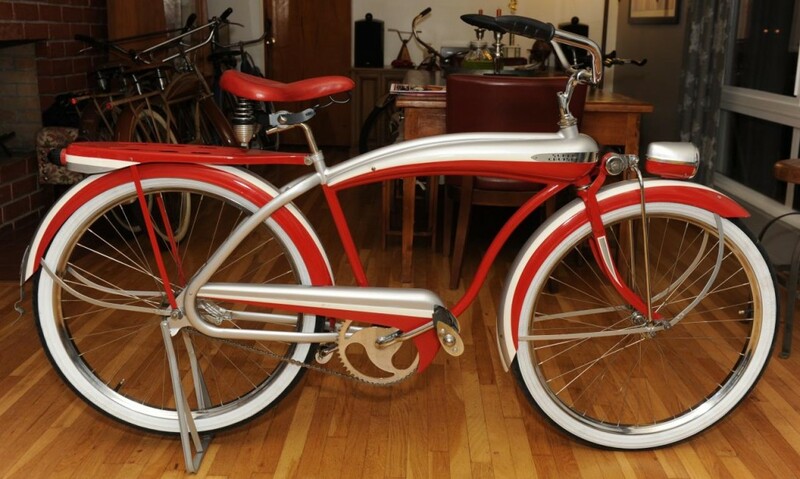 This bike was featured in the popular book “Evolution of the Bicycle” when it was part of the Steve Castelli collection. 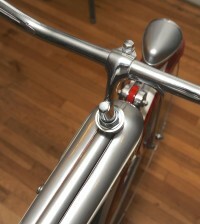 The silver paint is a custom touch, and would have been light gray originally. 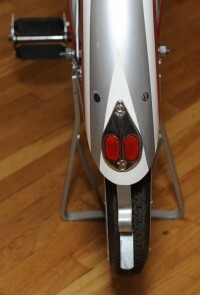 The red seat is also a custom touch, but looks very nice and compliments the bike very nicely.